The collections of this museum, in Coimbra, showcase the richness of the Church and the importance of royal patronage in Portugal, both of which account for the large number of works of art and religious objects on display. Noteworthy are the monochrome and polychrome sculptures, in wood and stone, featuring the best Flemish workmanship and documenting the evolution of the Portuguese schools from the Middle Ages through to the 18th century. Also worthy of mention are the paintings, gold and silverware, ceramics and textiles, made both in Portugal and imported; the archaeological collections from the city of Coimbra and the Oriental art. The museum opened on 11 October 1913 in premises that had been built between the 12th and 18th centuries to accommodate the bishops of Coimbra, and which had since been converted into a museum. Outstanding in this museum are vestiges of a cloister from the “condal” period (c. 1100‒c. 1140) and a first-century cryptoporticus that is considered the most remarkable surviving Roman construction in Portugal. The museum is named after the artist from Coimbra who worked as a royal sculptor during the reigns of D. José, D. Maria I and D. João VI. He was the most remarkable exponent of 18th-century sculpture in Portugal. 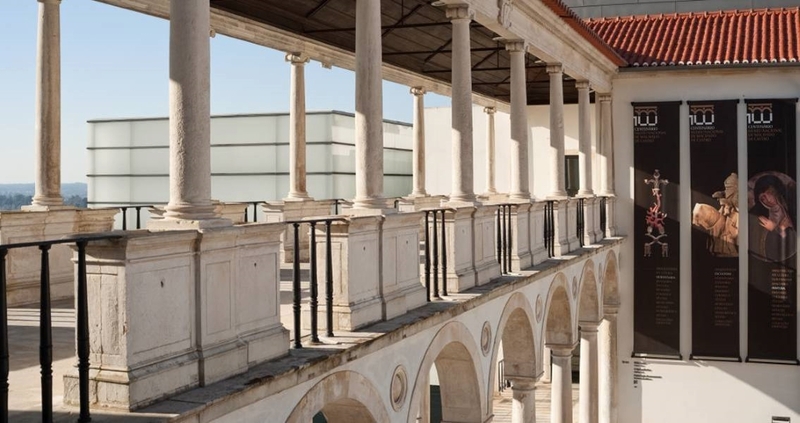 Having completely reopened at the end of 2012 – following a project of renovation and expansion by the architect Gonçalo Byrne – the museum provides an excellent opportunity to experience Portugal’s ecclesiastical and royal past in a contemporary and inspirational setting.